Keto, or the ketogenic diet, burns fat off your body by getting into ketosis, a state where the body is burning fat for fuel in the absence of carbohydrates. Carbs get broken down into glucose. This is what your body uses as its primary energy source. When you take away carbs from your diet, your glucose level will get so low or depleted that your body will be forced to look for an alternative fuel source: fat. 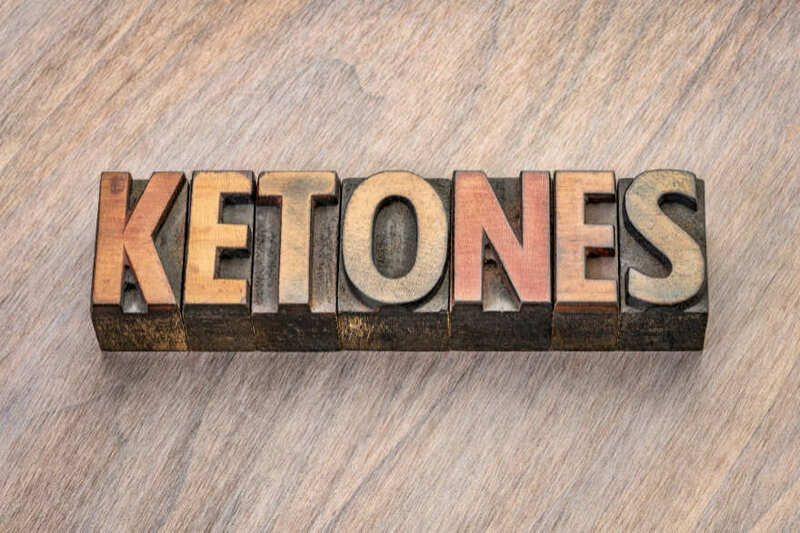 As the body burns fat, ketones are produced, which the brain, muscles, and other tissues in your body can use for energy metabolism. For a healthy individual, the production of ketones for energy is the body’s natural response to the lack of glucose. But making the jump from a sugar-burning body to a fat-burning body doesn't happen overnight. Your body has been so used to using sugar for fuel your entire life, it will need time to adjust and adapt to transforming fat to ketones for fuel. So how long does it take to get into ketosis? That depends on many factors like overall health, activity level, lifestyle, body type, and carbohydrate intake. Considering those factors, this transition could take anywhere from 48 hours to a week. But there are several ways to speed up the process to reach a state of ketosis. This has to be our first tip because to achieve ketosis at all (much less do it faster) the main requirement is to drastically cut back your carb intake to a certain level. When you are just starting out on keto, it is important to keep your carb intake to a bare minimum. Think 30 grams per day or lower. If you are an athlete, you may increase it to 100 grams. After a while, when your body has transitioned to burning fat for energy efficiently, you can slowly increase your carb intake to a comfortable level (5 to 10 percent of your daily caloric requirement) that will not kick you out of ketosis. Staying hydrated is very important no matter what diet you are in. This seems like a no-brainer but is not easy to follow. Often times, you get so busy with your daily activities and tasks that you forget to hydrate effectively. Have a water bottle with you on the go to remind you to stay hydrated. At the very least, aim to drink at least half of your body weight in ounces of water. And on days when you have an intense workout or sweat a lot, be sure to drink more. It is also highly recommended that you add Himalayan salt to your drink or take electrolytes to ensure that your minerals and electrolyte levels also remain balanced and avoid unwanted side effects from dehydration. Himalayan salt is packed with 84 minerals and trace elements including sodium and potassium that is lost when you are dehydrated. Increasing your healthy fat intake can drastically boost your ketone levels and help you reach ketosis faster. Healthy fats are an integral component of any keto meal plan. If you are new to keto and still transitioning, your body will need time to adjust to being fully fat-adapted. If your goal is to lose weight, it is advised to not overdo your calories as fatty foods tend to contain a lot of calories. This is to allow your cells to burn fat stores instead of mostly relying on your fat intake for fuel. If you haven't tried IF before, try the simple fast. Skip breakfast and opt for a bulletproof coffee instead. If you are already keto-adapted and are experiencing a weight loss plateau, the cycle fast, strong fast, warrior fast, or a full day fast can help you get out of the rut. Adding IF to your keto diet will help the body speed up its metabolism to burn more fat. An Important note: When practicing IF, it is imperative to keep yourself hydrated throughout the day. Besides bulletproof coffee, you can have herbal teas and sip on bone broth and stocks. When you exercise, your body uses up glucose in the blood as well as stored glucose (glycogen) more quickly. This is a good thing because as mentioned above, when your glycogen levels drop low enough, you enter ketosis. Try incorporating regular exercise, preferably HIIT, resistance training, or even low impact cardio like walking just to help your body get into and maintain an optimal level of ketosis (around 1.5 – 3 mmol/L). Side note: Previously, we were led to believe that athletes or those who do strenuous exercises must consume carbs before, during, and after a workout so as not to deplete their glycogen. Depleted glycogen is associated with fatigue and hitting a wall. But new research has demonstrated that keto-adapted elite endurance athletes burn twice as much fat as carb fed athletes. This effect can even be enhanced by working out in a fasted state. This is important for achieving ketosis. Consuming an adequate amount of protein supplies the liver with the amino acids it needs for gluconeogenesis. This is a process where the liver produces glucose to power certain cells and organs in the body that can't use ketones for fuel, like the brain, red blood cells and portions of the kidneys. Without dietary protein, the body breaks down its own lean body tissue during the process of gluconeogenesis. Other benefits of consuming a sufficient amount of protein include helping you feel satiated and providing many nutrients that your body needs to be healthy. On the other hand, the body breaks down some protein into glucose, so if you consume too much protein it can affect ketosis. This isn't a problem for most people but it can happen for those who consume a lot of protein. To calculate your protein intake when on keto, simply multiply your ideal body weight in pounds by 0.55 to 0.77. For example, if your ideal body weight is 130 pounds, you should be consuming between 71 to 100 grams of protein daily. Proper sleep is critical to give your body the required rest it needs. It is also during sleep that the body gets to repair itself. Not getting enough sleep can be tough on your adrenals and blood sugar regulation. It will also elevate the secretion of your stress hormones (see next tip). Try to maintain a regular sleep regimen. Aim for at least seven consecutive hours of sleep and go to bed at the same time each night. Try sleeping early if you are an early riser. If you have trouble sleeping, create a conducive environment and sleeping regimen. Put on relaxing music, diffuse essential oil, keep your room temperature at around 65 degrees, turn off lights, and remove all your gadgets from your reach and put them in silent or sleep mode. If you are light sensitive, it is a great idea to use a sleep mask to block out the light. And if you are sound sensitive, then you can use earplugs designed for sleeping. Chronic stress will prevent your body from entering ketosis. Stress raises up the stress hormone cortisol. Cortisol elevates the sugar levels in the blood, which effectively prevents your body from entering ketosis and burning fats. Though this is fine for very short periods of time—fight or flight response—when prolonged, it drives up the blood sugar and lower ketone levels. If you are going through a high-stress period in your life, starting a keto diet may not be the best idea. It's best to start keto when you are able to keep up with the daily stressors and devote a large portion of your day towards staying in ketosis. However, if you really want to start on keto, there are some strategies that can help lower your stress load to have more peace of mind and relaxation of the body. These include going on a vacation for a change of pace or environment, having adequate sleep, doing regular exercise, pursuing a hobby or something that de-stresses you, or adopting a relaxation technique like breathing exercise and meditation. A lot of people are wary of consuming too much salt because of the negative stigma associated with it. The importance of reducing our sodium intake has been drilled into us. But such warnings are only true for higher carb diets. When we are on the usual American diet that is high in carbs, the body will tend to have higher insulin. When insulin levels in the body are high, the kidney will begin to retain sodium which will then lead to a higher sodium level in the body. Many people assume that coconut oil and MCT oil are the same. But this is not so. Although MCT oil is derived from coconut oil, MCT oil contains 100 percent pure medium chain triglycerides: mostly a combination of caprylic acid (C8) and capric acid (C10). Coconut oil, on the other hand, only contains about 15 percent C8 and C10. The rest is composed of 35 percent long chain triglyceride (LCT) and 50 percent lauric acid (C12). Though lauric acid is technically an MCT, it behaves more like an LCT in the sense that it is not quickly absorbed and metabolized by the body. Ergo, MCT oil is more potent than consuming coconut oil, butter, or any other fat when it comes to boosting your blood ketone levels. You can drink MCT as is or add it to your coffee, tea, smoothie, or any drink to keep your ketone levels up. MCT oil is virtually tasteless so it will not have much effect on the taste of your drink.